Let’s face it deodorants are bad for you. At least the ones in stores are. Most contain chemicals that can cause a lot of problems like cancer or blocked sweat glands. Most are even made with sneaky animal ingredients! Yuck. 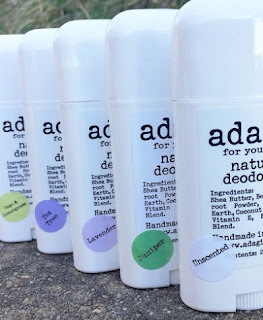 So I decided to make the switch to a vegan, animal friendly deodorant. But which one was the best? 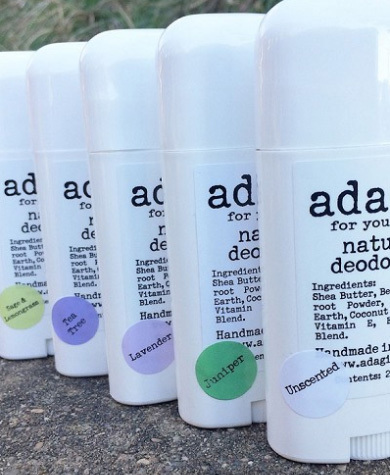 There is a trick to switching to a vegan deodorant that most people don’t realize. You have to sweat out the bad stuff. I don’t mean go without deodorant but you can. I mean your body has to get rid of the stuff you’ve been using and get into a normal cycle again. This process takes about two weeks and it is just a detox cycle for your pits. It’s totally normal to produce more sweat or even be a little slinkier than normal. This lasted for about a week and a half for me. I just made sure I had extra in my bag to reapply. Once I detoxed I could tell if the deodorant was working. Side note: I only tried three brands and I know there are tons out there. If I missed one that you love, let me know!! Maybe I will do a part two. This was the first one I tried after my detox period. I bought two scents: fresh apricot and unscented. The apricot had a nice, clean smell. It applies almost sticky and I always felt kind of wet. This is a deodorant not an antiperspirant so it will only make you smell good. It will not make you stop sweating. While I did like the scent, it didn’t last long and I felt like I smelled like BO most of the day. I am a sweater and especially in 80 degree 75% humidity weather so I really wanted something a little stronger. This brand is local-ish and handmade so I was excited to give it a try. It is a little expensive but it is made from clean ingredients and scented with essential oils. I have two scents – lavender and tea tree – and I like one over the other. I like the formula a lot. It goes on smooth and keeps me from smelling throughout the day. Depending on what I am doing I will sometimes need to reapply. It is in a handy tube so I just keep it in my bag. I like the tea tree scent better because the lavender can be a little overpowering. Otherwise I really liked this one, I just wish it wasn’t $9.00. Not only is this one super easy to make but it is also the best version I have tried. This original recipe came from Trash is for Tossers and wasn’t intended to be a vegan deodorant. It was intended to be a zero waste version. It’s a win-win for me! 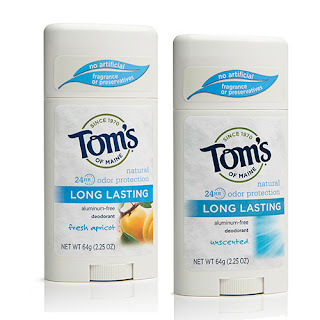 I love this deodorant. It is soft, silky and really does get the job done. I made mine with tea tree oil because I found that works best for me but you can experiment with essential oils. Lavender and lemongrass would be good too. They all kill bacteria and that’s what makes sweat smell! I did change the recipe a little because arrowroot powder is hard to find and expensive in my area but you can easily replace it with cornstarch. Now I make my own and apply it every morning. I keep the Adagio tea tree in my bag incase I need to reapply or it gets hot. The Tom’s of Maine sits in my bathroom cabinet and is never used.